Today, Papa Roach released two new songs from their forthcoming 10th studio album. The songs “Renegade Music” and “Who Do You Trust?” plus the official music video for the first single “Who Do You Trust?” are available now through all digital platforms. 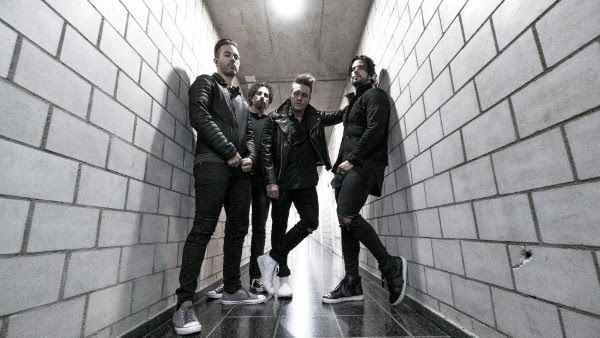 Papa Roach have been praised by their peers in the rock world for achieving an “unlikely comeback”, with two decades of continued success and a career resurgence with their 2017 release, “Crooked Teeth”. The new songs see Papa Roach continuing to push their momentum with bonafide rock anthems. Frontman Jacoby Shaddix explains “Who Do You Trust? is a statement of engagement – in this day and age, who do you trust? The message of this song is to think for yourself and to trust in yourself, and the imagery of the song matches that. It’s the sea of information, all of if slightly out of focus – and you’re left floating in trying to decide for yourself. Who Do You Trust?”.